APS works to reach and support anyone facing pregnancy related decisions with resources that empower them to make informed choices. Their goal is to provide practical support in a safe and compassionate environment. Countless lives have been spared and numerous families have been healed because of APS’ faithful work in the Akron area. Formerly known as Abstinence the Better Choice, they are a non-profit, non-partisan organization that empowers, encourages, and educates youth to make and keep healthy lifestyle choices. Alliance for Healthy Youth equips youth with the knowledge and skills to make decisions and practice behaviors that enhance health and wellness, rather than practice risky behaviors. For many years Art Bush has had the opportunity to speak and sing for Christ on the road. Art stands for the proclamation of New Testament Christianity. He says himself that, "The communicative power of music must not be minimized. Music is a valuable and important tool for the Church today to communicate its great message. We must be sure not to surrender it but rather use it to encourage and build up lives for Christ! CBM’s ministry in Goiania and the state of Amazonas are producing amazing fruit for Christ. Their mission is to “Make disciples, make better disciples, and you will make more disciples.” Since their humble beginnings in 1969, CBM has grown to far reaching proportions, literally reaching thousands for Christ. Key ministries include the Novo Horizonte Ministry which involves many individuals and different projects for meeting the needs of people. They have a Bible college, Bible institute and discipleship training programs. “Project Amazonas: Christ, Life and Health” gives attention and emphasis to the Amazon Region of Brazil. Equipped with a medical boat, the ministry attends to medical needs and plants churches in the region. The mission of Kentucky Christian University is to educate students for Christian leadership and service in the Church and in professions throughout the world. KCU is committed to providing a strong biblical foundation for each of her students. In turn, that influences the way students conduct themselves within a chosen vocation. The belief that a Bible core and vocational preparation coexists is distinctive at Kentucky Christian University. Canton Christian Home is a faith based retirement community offering Independent, Assisted and Nursing Care living options. They are a non-profit Christian retirement community. Best of all, their mission is to empower seniors to live life fully, continuing to impact their world and enjoy the endless adventure of the Christian life. The Mission of Round Lake Christian Camp is: Learn-Grow-Share. Located in Lakeville, OH, RLCC has been growing and expanding since its beginning and ministers to students and families throughout Northeast Ohio. RLCC is certainly a unique place where people experience the Gospel of Jesus Christ, while at the same time, having a blast! CCHO has been helping children and families in distress since 1969. CCHO has grown from a single foster home to a Children’s Residential Center with five large cottages that house up to 48 children at a time, and a growing organization that provides a variety of programs and services aimed at fulfilling their mission, bringing healing to hurting children and families. . . . In His Name. The Puerto Rico Christian Mission has done a good work in Puerto Rico since 1973. Their desire is to share the good news of the gospel of Jesus Christ in Puerto Rico by building relationships through outreach ministries including church, school, retreats, and camp. Please pray that God would continue to open doors for ministry for the mission! The Northeastern Ohio Association of Helpers exists to plant healthy, vibrant, church-planting churches and assist churches that need a ‘Fresh Start.’ Through their Fresh Start program they help congregations rediscover their potential and maximize their effectiveness. 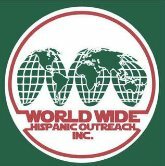 Ernesto and Olga Fuentes, founders of the World Wide Hispanic Outreach, have been missionaries since 1968. God has used the Fuentes to start two Bible Colleges in Mexico, training over 300 preachers. Ernesto has written and published several books and Bible School curriculum for use in Christian education. Over the past 8 years the Fuentes have expanded their ministry to also include overseeing 9 churches in Mexico, 2 new churches in the United States, and 60 home churches in Cuba. In addition to the leading, teaching, preaching and writing, the Fuentes currently operate and oversee a camp/retreat center, a medical and dental clinic, and a child sponsorship program. The newest addition to their ministry is a Senior Home which is also located on the retreat property. John and Moni Mathew serve with the Southwest India Christian Mission in the state of Kerala. The mission focuses on leadership training, church planting, radio broadcasting, Christian education, and community involvement. They also operate a childrens home for girls and coordinate relief and benevolence efforts. Show-Me Christian Youth Home is dedicated to promoting the individual development of children in need. 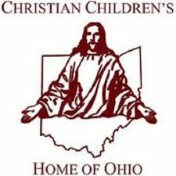 Their desire is to is to develop children spiritually, academically, emotionally and physically within a foster setting. Show-Me students are well equipped to be productive adults with all the care, attention, and love they need while on the way. Family Life exists to help people change the world one home at a time. Created on the principle that the family provides the foundation for society, the ministry offers a wide range of tools to help families become stronger.The ministry is committed to helping people know and apply the biblical blueprints for maintaining a God-honoring marriage and raising children to become responsible adults. Our church specifically supports the Akron/Canton Family Life representatives, David and Laurel Derry. The Barberton Pregnancy Center's mission is to strengthen women and families by serving those with pregnancy-related concerns through educational, emotional, spiritual, and material support. It was founded in 1989 by two women passionate in their efforts to save women and babies from the devastation of abortion. Those efforts included not only being there to offer a listening ear, a calming influence, and a ray of hope, but also as a companion for the journey and support after birth. CPC's ministry touches thousands of families each year in the greater Barberton area - shining a light on the sacredness of every gift of life bestowed by God.